Large ground floor room with queen bed. Windows on three sides, a French door that leads out to your private furnished garden patio. 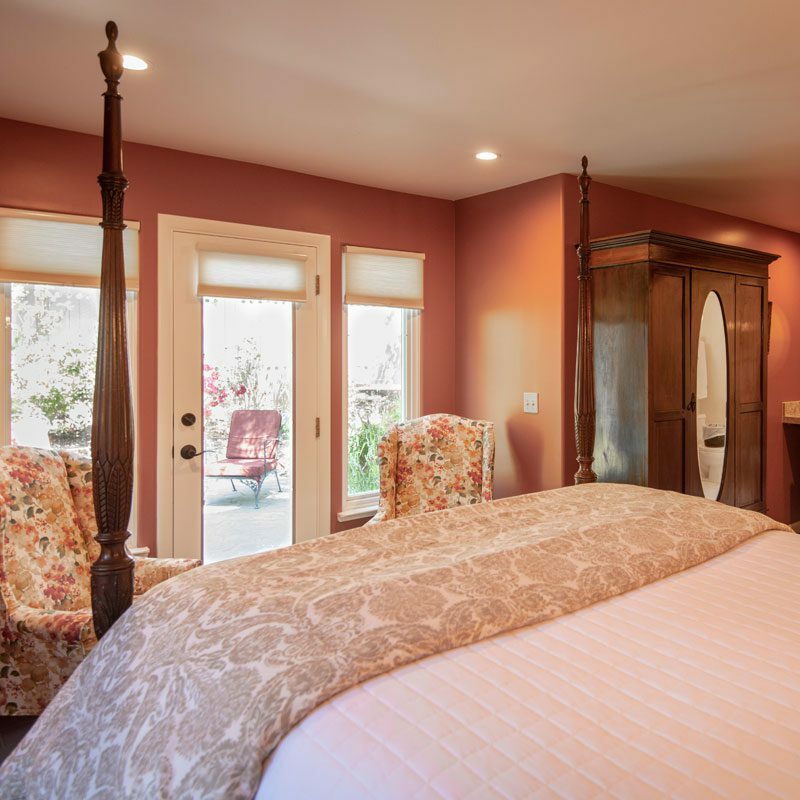 An elegant boutique bed and breakfast on four sunny acres in Point Reyes Station. Our five room luxury Inn is perfect for a romantic weekend getaway.